Yeah, I went to the basket of silly Easter puns for the title of this post, and I had fun doing it, too. But seriously, there are some very sweet greetings out there for Easter and Spring, and I’m excited to share them with you! 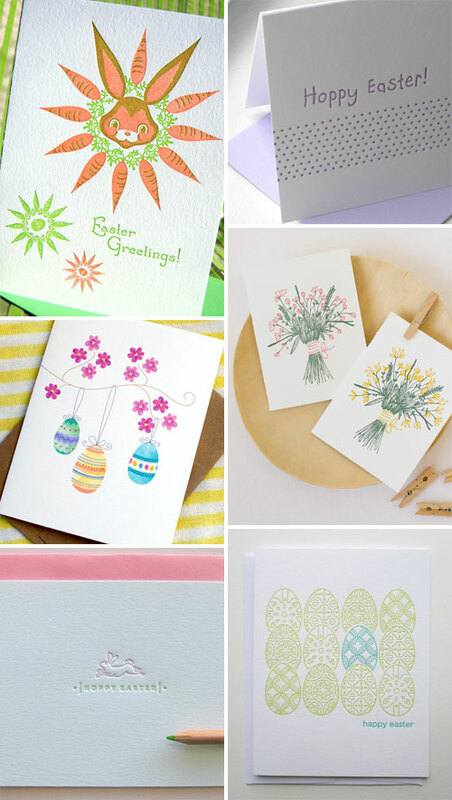 Above, clockwise from top left: Easter Greetings letterpress card from Pup & Pony Press (love the bright colors! ); Hoppy Easter from The Paper Peony; letterpress flower cards from Tokketok; Happy Easter letterpress card from Fine Day Press; Hoppy Easter card from Duet Letterpress; Spring Blossom Easter Egg cards from Happy Dappy Bits. 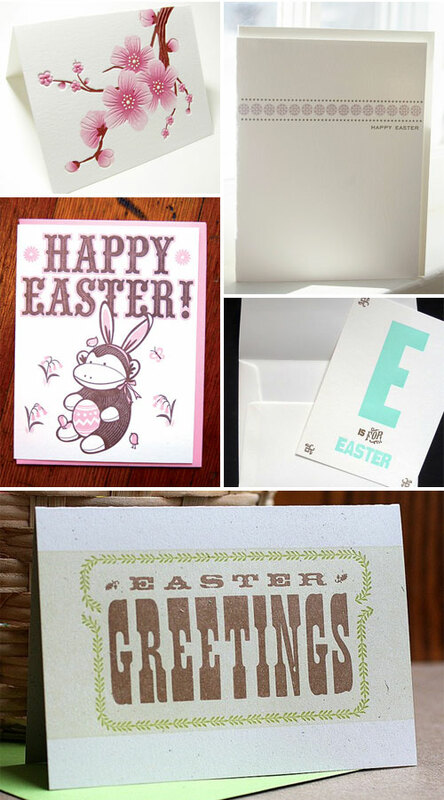 Cherry Blossoms card from Letterpress Light; Happy Easter from The Permanent Collection; E is for Easter from Heartfish Press; Easter Greetings from Starshaped Press; Easter Monkey card from Hello! Lucky. Wonderful to be among such loveliness, thank you!